It is important to find a home that matches your lifestyle. If you like to begin each morning with a swim, finding a community with a neighborhood pool can be vital. And if you enjoy spending your free time on the tennis court, finding a community based around tennis is a no-brainer. There are many communities in Cornelius, North Carolina, that adapt to your lifestyle choices—and one of the loveliest and most established is Vineyard Point. Allow us to spend just a minute reflecting on some of the things that make this Cornelius community unique. It’s located on Lake Norman, which makes it ideal for those who love the water. A planned recreational community, Vineyard Point includes both condos and single-family residences. There are eight separate HOAs within this community, but they are united by a single master association. This waterfront community offers east access to boat slips and other maritime features. It’s also incredibly close to the Interstate, and just a few miles north of sprawling Charlotte. 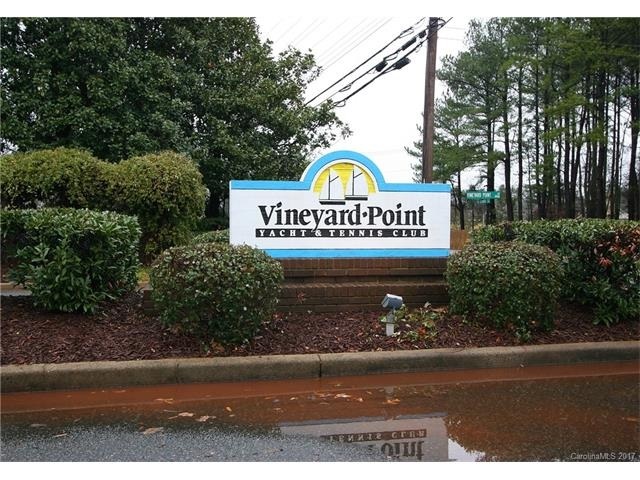 Vineyard Point is within easy walking distance of grocery stores, pharmacies, and more. There are athletic courts available to all members, including pickleball, tennis, and more. It is one of the loveliest communities in the Cornelius area, and if you and your family love outdoor activities, you will surely find much to appreciate here. We’d encourage you to come tour some homes in Vineyard Point if you ever think about making a move to the Cornelius area. Cornelius itself, meanwhile, has a lot going for it! We have already mentioned the close proximity to Charlotte, and also the nearby attraction of Lake Norman. We might also mention that Cornelius maintains a small-town feel along with easy access to big city amenities. There are many fine neighborhoods in Cornelius, too, including Vineyard Point, but also many others. The best way to find your ideal neighborhood is to meet with an experienced local agent to tour some communities. The Minges Cline team would love to take you to Vineyard Point, or wherever else you want to look for homes. Contact our team today to set up some appointments, and start finding the Cornelius, NC home of your dreams!